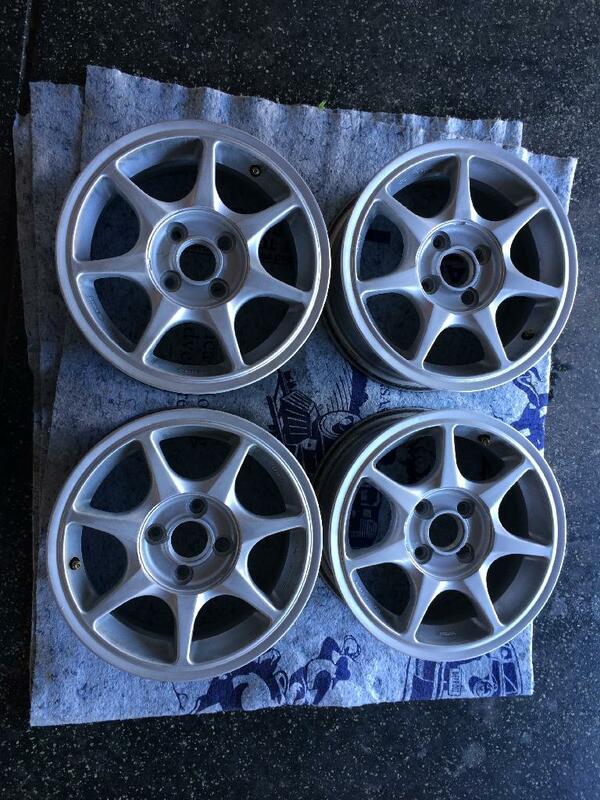 I bought a new set of alloy 13s for my Civic. Stayed with 13s because the sheer purchase of this car is MPG. Didn't want to mess that up. 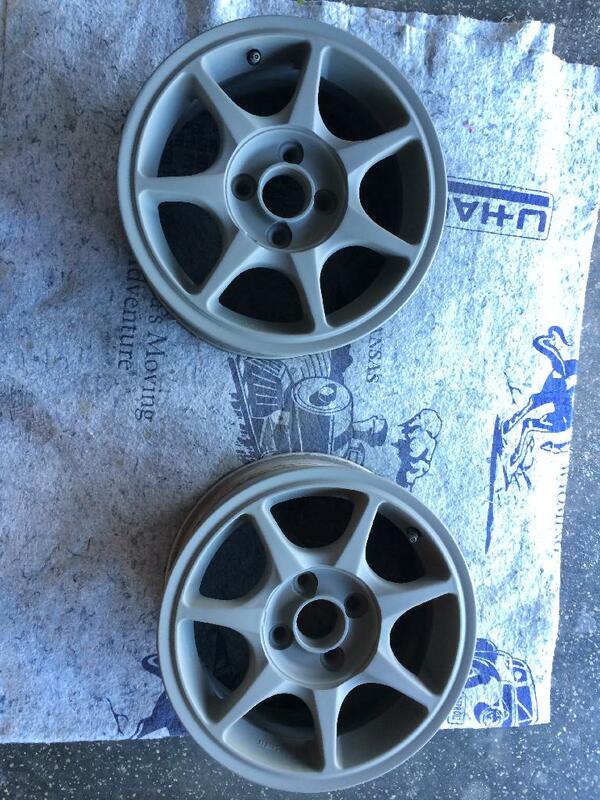 I pick the wheels up tomorrow and plan to sand them with 180 grade paper and then paint them black. Not sure if gloss or flat yet. I am going to use the Duplicolor paint. They have wheel paint and engine paint. I have seen both used on wheels on the web. Any suggestions on which is more durable? why not just use Plasti-Dip ??? Last edited by itburnswhenIP; 12-19-2013 at 05:19 AM. I decided to just go for it. Happy I did. for all BLACK civics what black do you have? 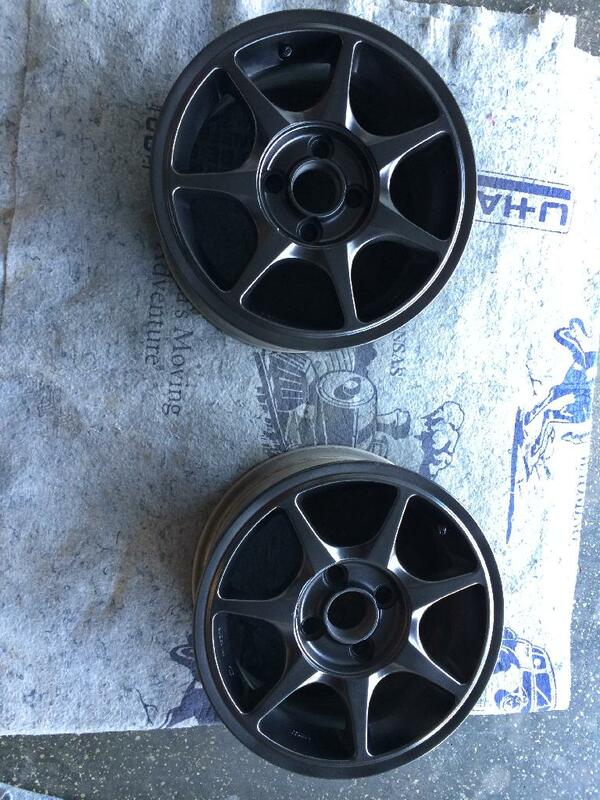 Painting HX wheels black - how to? pics? Quick Reply: DIY wheel painting (black)? ?